In the presence of hundreds of dignitaries from the Netherlands and beyond, car recycling collective Auto Recycling Nederland (ARN) has opened its long-awaited shredder residue recycling plant in the town of Tiel. The fully-automatic plant combines the latest technologies to separate shredder residue from vehicles and other waste streams into a wide array of metal, plastic, fibre and mineral fractions. ARN’s mechanical post-shredding technology (PST) plant is a key development in the push to meet the 95% recycling target for end-of-life vehicles which has been set by the European authorities for 2015. The PST facility will process material supplied by Dutch and foreign shredder operators. The plant harnesses advanced Volkswagen/SiCon technology and is completed by a plastic separation module from Belgium’s Galloo Plastics. At full capacity, the plant is expected to process 100 000 tonnes of residues per annum; however, in the early stages, the figure will be nearer 30 000 tonnes. The facility is composed of 50 different types of machinery. ‘Some elements need to be fine-tuned,’ says ARN’s CEO Arie de Jong, ‘so I think it will take some months before it will run at full capacity.’ Some 5000 tonnes had already been put through the system prior to the opening ceremony. The formal opening of the plant was performed by the Netherlands’ Environment Secretary Joop Atsma, alongside Mr De Jong and ARN Recycling Director Arie de Greef. During the event, Mr De Jong called for more economic solutions for marketing the mineral and fibre fractions - the most difficult elements to extract in the separation process. ‘We need a collaborative approach from society, economy and technology; only in this way can we head for a more circular consumption society,’ he argued. Over the coming years, the plant is expected to reduce the costs payable by vehicle dismantlers and shredder operators for disposing of their residues. It will also take over some of the manual separation work from car dismantlers. Ok, I know most of you understand ELV’s, but please allow me to expand on the EU regulations and show you that this is more than just a set of rules for vehicles in auto recycling yards. The whole ELV process starts from vehicle design – ensuring components used in vehicle build can be recycled, adherence to a very specific list of materials that cannot be used in vehicles, ease of dismantling are all necessary. The EU believes that these regulations have resulted in a 90% reduction of hazardous substances in vehicle build since introduction. Vehicle manufacturers also have a requirement to make dismantling information available to the auto recycling industry – including details of what components are made from, especially important when removing plastic components. The European Union are also supporting development of recycling techniques and the recycled marketplace – to make sure that any components removed for recycling can be reused. 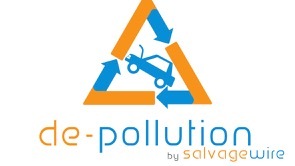 Once an ELV arrives at the auto recycling yard the vehicle must be stored on an impermeable surface, with sealed drainage until it has been de-polluted. This makes sure that any fluids leaking out are captured and cannot contaminate the surrounding area. After de-pollution the vehicle can then go into the main yard. Oils – removal of all oils from engine, gearbox, power steering and shock absorbers, includes removal of the engine oil filter. Fuel –removal of all fuels; Coolant –Removal; Screen Washer Fluid – removal; All fluids are then safely stored for future recycling. All fluids need to be stored in sealed containers that are in a bunded area – an enclosed area that will stop fluid leaking out if storage tanks fail. Tyres: Removed and stored for re-use or recycling, lead balance weights are removed from wheels and stored separately. Catalytic Converters: Removed and stored for future recycling. Once the vehicle is considered to be ‘clean’ it can then go into the main yard for further processing as desired, this could be dismantling or straight to a shredder facility. Some recycling yards strip vehicles down further with cores going into separate bins, alloys separated from steel, etc. Where does the future lie? – Well the EU has set the standard that the rest of the world must follow. There is still plenty to do, ELV legislation applies to cars and light commercials only, so the EU need to bring motorbikes and heavy commercials under the directive as soon as possible, and enforcement is a priority – according to latest reports 12 member states (out of 27) have not met the requirements of the ELV directive. If this were my old school teacher it would get a B+, but could do better! How 'Green' is the Auto Recycling World? Auto recycling can be a very green operation, but it can also be very dirty and harmful to the environment, the challenge has to be how to effectively improve the image of the industry, divert more product away from landfill and into recycling, and ensure that auto recycling activities do not harm this fragile planet we live on. An immense challenge, especially when we hear about the predicted increase in new vehicle sales for China and S East Asia over the coming 20 years. As with all things, this must start at the vehicle design stage – vehicle manufacturers must be forced to design vehicles that can easily be recycled once they reach the end of their lives. This includes materials used in production, restrictions in the use of hazardous substances such as mercury, and ease of dismantling. During the life of the vehicle, manufacturers have a need to show that servicing schedules are designed to minimise waste, and service agents must be able to recycle as much of the waste products as possible. When the vehicle reaches the end of its’ life it must go to an approved treatment facility for de-pollution, dismantling and recycling. 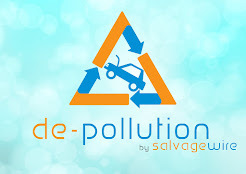 A site where all waste products can be removed cleanly, efficiently and sent for recycling. A site where the ground will not be contaminated, workers are kept safe and the public are not in any danger. The European Union is getting there – they already have rules and regulations in place regarding all of the above, including development of markets for the recycled products that come out of ELV’s – their target of 95% of each vehicle being recycled from 2015 is tough, but achievable. Problem is, the rules only apply to cars and light commercial vehicles, when will similar standards be applied to motorbikes and heavy commercials? What about the rest of the world and what happens in 10-12 years time when the 12 million new cars sold in China this year reach the end of their lives? It is time for the worldwide auto recycling industry to set minimum standards for vehicle de-pollution, dismantling and recycling for all motor vehicles. Standards that reflect the need to protect our world from pollution, increase the amount of product that is recycled, and minimise waste. Talk to your local Politicians, Councillors, Members of Parliament, Senators etc, ask them what they are doing to protect the environment, when can we see updated rules and regulations, and more importantly the funding to enforce these rules and regulations and drive illegal operators out of business. Very interesting morning yesterday working with an excellent recycling yard in South Wales. We were looking at costs, cost of purchasing stock, cost of processing the vehicles and the value of the vehicle as pure scrap. This organisation have got all the records to hand and we were able to see how much it cost them to purchase stock, how much it cost to process end of life vehicles, the value of the scrap elements - hulk, alloy wheels, cores, catalytic converters etc. We also looked at parts sales and revenue. What we did find is that the average purchase price was close to half the cost of processing the vehicle, and they cleared in excess of £200,000 profit annually just from processing end of life vehicles. it got me wondering, how many other operations have access to similar information from their records? Unfortunately I believe that only a very small number of auto recycling businesses will have this knowledge - those that do not have this data are at increased risk of financial problems - knowing your turnover, costs, revenue streams is so important in the current financial climate. We are now heading into a couple of long weekends - ideal time for owners and managers to take a few days away from the de-pollution bay, and take some time out. So as you fire up the barbeque and open that bottle of wine - think about the business and how much more profit you could be making if you take time to analyse where costs can be saved, where more revenue could be obtained, and how you measure this. Salvage Wire can help, see our website for more detail on how to contact us. Auto recycling yard managers in England and Wales have less then 12 months to obtain their Certificate of Technical Competence. Failure to do this could result in businesses being closed down following revocation of waste management licences. The original deadline of Feb 2011 was extended by 12 months so that all necessary staff could get through the qualification, and to date it is believed that only 10% of all Technically Competent Managers have taken the test, leaving almost 10,000 tests still to be taken in the remaining 10 months. Operator Competence must remain in place for the life of the facility – this includes ongoing testing with the first deadline of Feb 2012 and ongoing re-testing every 2 years. Additionally the Technically Competent Manager must be on site 20-25% of EVERY week, so if they go on holiday, they need to be replaced for the time they are away. You have already been deemed to be competent by the Environment Agency – you take the on-line general module and up to three specific modules relating to your chosen area of business. Online car salvage auction business, Bluecycle, has created a new Compliance Team to help customers meet their increasing obligations concerning the scrappage of cars. The European Union’s End of Life Vehicle Directive (ELV) dictates that 85% of a car manufactured in Europe must be recyclable. This figure increases to 95% in 2015, placing additional pressure on the vehicle salvage sector to ensure this is observed. Having been Bluecycle’s Reputation Manager since the company formed eleven years ago, Andy Latham brings over thirty years of experience as a motor vehicle engineer and insurance assessor into his new role as Compliance Manager. In support of Latham, Bluecycle has also appointed two new Compliance Officers, who are transferring from other roles within the business. University graduates Magda Drozdz and Kuba Wygledacz have eight years combined experience in the vehicle salvage and insurance sectors. Based at Bluecycle’s offices in Bristol, the Compliance Team will further develop Bluecycle’s industry leading role on reputational matters affecting ELV, codes of practice, environmental agencies, legislators, as well as liaison with trade associations. The team will also work closely with Bluecycle’s network of Authorised Treatment Facilities (ATFs) across the UK to ensure regulations are properly enforced. In addition, Bluecycle has re-launched its website with push bidding technology so that users can view auctions in real time without having to refresh the page on the internet browser. An investment of almost 20,000 hours of technical development has gone into the new auction architecture, which the company believes will help attract new customers and generate increased participation in auctions during 2011.